The house pics below are from Zillow. Some of the addresses are not in the County database, I’m sure if I asked the Assessor’s office they would find them for me, I’m not that interested. I’ve heard lots of houses have been listed this week. It’s not easy to keep track of the market. Some houses are selling for less than purchase price, some are selling over. Realtors know the market, maybe one can fill us in – without the spin. 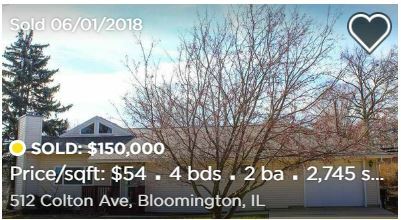 Posted in BloNo, Bloomington, Local, McLean County.Tagged County Assessor, housing market, Remax Rising, Zillow. 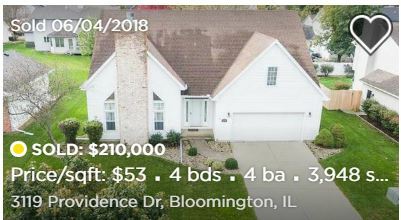 1407 Plantation Ln., in Bloomington??? How dare they? Quick! Change the name before some snowflake is triggered and starts freaking out! Oh, the humanity! How would a word that means a large scale farm focusing on cash crops be a trigger? Rich, it appears you are using micro-agression to solicit a response. Oh, please. We know the real Snowflake is the President, and he’s on his way to Malaysia, so we’re Twitter-safe for the next few days! LOL! I’d have to say the HIGH end market is flat, or in other words, you probably have a better chance of selling sand to an Arab.. Recently spoke to someone in the local mortgage industry. Apparently, there is a market for homes up to $250K. They will sell faster. Interest is relatively low @5%. The high end properties have very few buyers with a lot of stock. 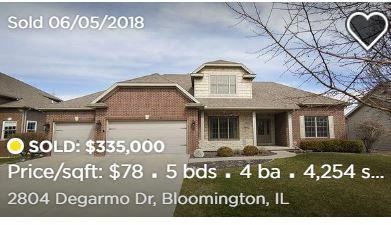 The best measure of the strength of a housing market is new home construction, which, as an industry, is dead and buried in BloNo. How many new homes do you see being built in town? I’ve had my house listed over the past 2 years. Started out at $447,000 and just pulled it off the market at a list price of $349,000. Not one offer over the 2 year period. I paid $362,000 for it and invested over $100,000 in additions/improvements. 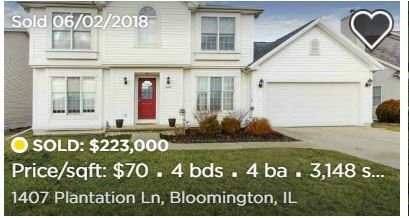 The market stinks once you cross the $275,000 list price. The biggest impact is property taxes. Once you cross the $300K mark, your monthly real estate taxes are as much, if not more, than the house payment….